Notice! Azura Deluxe Resort Hotel & SPA does not accept reservations at this time. Please try again later. Azura Deluxe Resort Hotel & SPA Contact. Azura Deluxe Resort Hotel & SPA accepts VISA and reserves the right to temporarily hold an amount prior to arrival. Azura Deluxe Resort Hotel & SPA accepts Master Card and reserves the right to temporarily hold an amount prior to arrival. Azura Deluxe Resort Hotel & SPA accepts Maestro and reserves the right to temporarily hold an amount prior to arrival. Azura Deluxe Resort Hotel & SPA accepts Bank card and reserves the right to temporarily hold an amount prior to arrival. Azura Deluxe Resort Hotel & SPA accepts ATM card and reserves the right to temporarily hold an amount prior to arrival. Free buffet meals in the morning, lunch and dinner. Local and foreign drinks are free of charge in the Lobby Piano Bar 24 hours a day. The Lobby Piano Bar is open 24 hours a day between 01.05.2018 - 30.09.2018. For 6 nights and over, the first uses of a la carte restaurants are booked during the stay and free of charge, and the second is for a fee. A la carte restaurants can be booked in the lobby, in the guest section (Italian, Mexican, Ottoman, Asai, Fish). Minibar is filled with soft drinks on the first day and other days are refreshed with water only. Disco; It serves between 23.30-02.00 hours. The disco entrance and the brands that the facility has identified are free of the included drinks. Food and beverage refreshments during the hours determined by the facility (01.05.2018-30.09.2018 / Waffel-Kumpir-Köfte-Gözleme-Simit etc). Diet buffet on main restaurant. Orange juice in the morning breakfast. Hot set up in all rooms (kettle, nescafe, herbal teas, black tea, milk powder). The fitness center does not accept children under the age of 16. Children under the age of 18 are not served alcoholic beverages and children under the age of 18 are not considered as a disco. Terrace with Sea View Only 2 people can stay in the Jacuzzi Fantasy Rooms. There is arm band application in the facility. The lost arm band costs 5 euros. 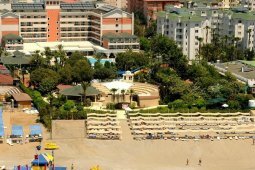 The water slides are available between 10.00-12.00 and 15.00-17.00 hours, while the pools are between 08.00-19.00 hours. The indoor pool is open between 8 am and 6 pm. The Ultra All Inclusive accommodation provided on a test basis starts with dinner and includes dinner until the number of nights you have stayed, and ends with lunch on the day of departure. Service hours may vary during the season. the worst holiday ever for me and my mates was in this "hotel". Rude staff, awful rooms and poor food and entertaining programs made us leave earlier than it was supposed. Do not waste your money and time in this horrible place! I'm going to be honest, I didn't know what to expect. I don't get to these places often, and when I do I'm usually not prepared. But this was different. I went on a real adventure and discovered something entirely new, and I had grew as a person in experience and understanding of my own potential. I also acquired an ancient extra-planar artifact designed to contain the souls of the once-living. Hotel itself is ok. However if you up for a holiday, but not for a fight with their staff - avoid at all costs. Try to give any negative feedback or any reasonable complaint about quality of their service and get ready to be attacked by all of their staff including their manager. Good job on dealing with drunk guests. Loved it. 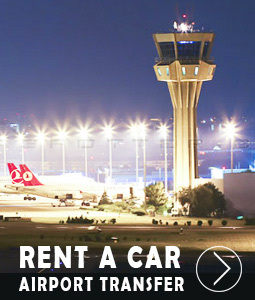 Best hotel in Turkey. Azura Deluxe Resort Hotel & SPA only for adults! EARLY CHECK-IN, LATE CHECK-OUT, (DEPENDS ON ROOM AVAILIBILITY). ROOM DECORATION (BED DECORATION WITH ROSE LEAVES, FANUS GLASS WITH A CANDLE IN BATHROOM). RED BED SHEETS SPECIAL FOR HONEYMOONS. FLOWERS WITH A GREETING CARD IN THE ROOM. VIP SET (SHAVING KIT, DENTAL KIT, BATHROBE, MINIBAR SETUP). % 15 DISCOUNT OF SPA CENTER USE. HEART-SHAPED BALLOON IN THE ROOM. THIS CONCEPT YOUR HAVE TO STAY MINIMUM 4 DAYS.